BATON ROUGE - It's that time of year again. It's time to stuff the bus! 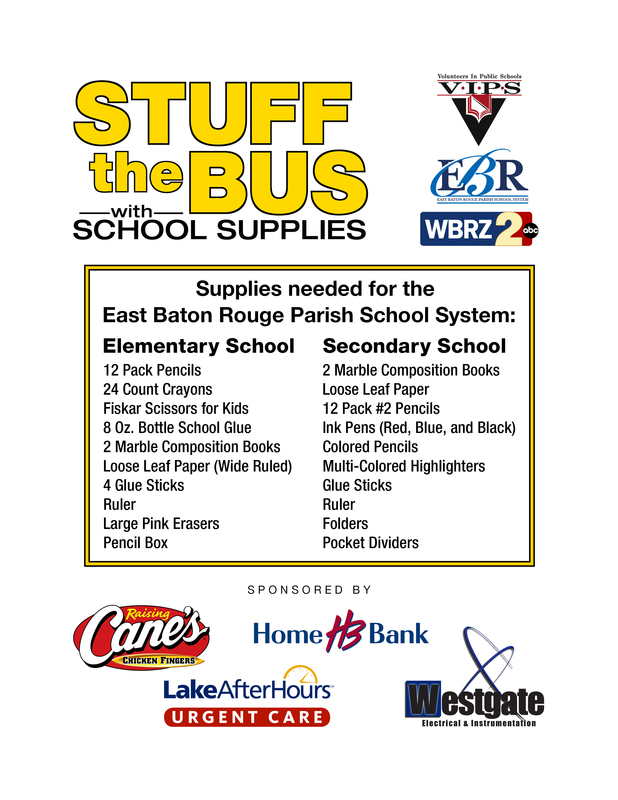 The 11th annual WBRZ Stuff the Bus Campaign is a school supply drive, that assists parents, teachers and students in East and West Baton Rouge Parishes. Last year, WBRZ collected over $40,000 worth of supplies for students. On average, a school teacher spends $500 each year for supplies to supplement the school district to make sure their students have what they need to learn. With your help, students can get the supplies they need for the upcoming school year. 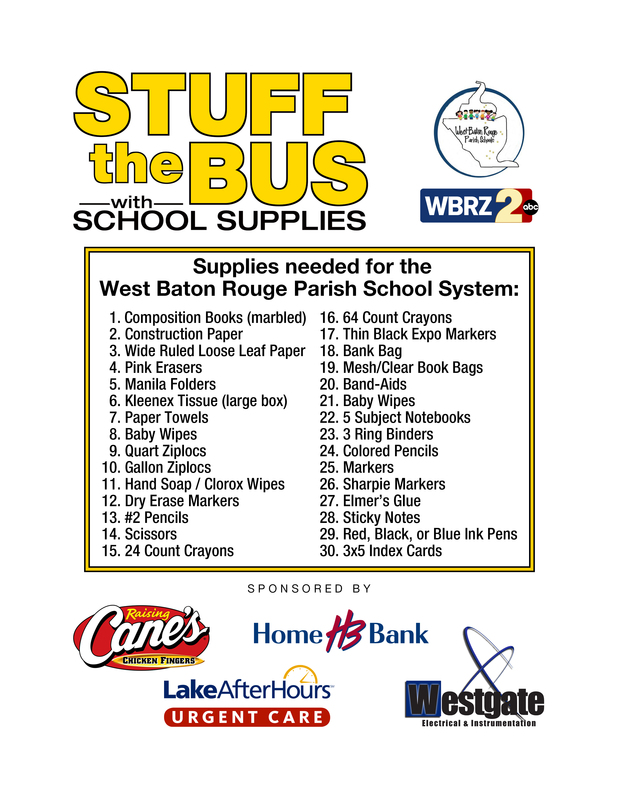 Today WBRZ will have buses at the Walmart on College Drive in Baton Rouge and the Walmart on LA 1 in Port Allen until 6:30 p.m.
Click here for the EBR Parish supply list and here for the WBR Parish list. Sponsors include Raising Cane's, Lake after Hours, Westgate LLC and Home Bank.